Explore the world of 20th century classical and avant-garde music through the composers and the fascinating connections that exist between them. 20th century composers lets you explore the prominent figures in modern classical music. Which six famous American composers have won the Pulitzer Prize? Why Berlin was so important as a cultural centre, and who was drawn there? Which German composer has the highest number of connections to other composers? Which mathematical series links composers Béla Bartók, Ernst Krenek and Karlheinz Stockhausen? Browsing our qualifications from the music department. 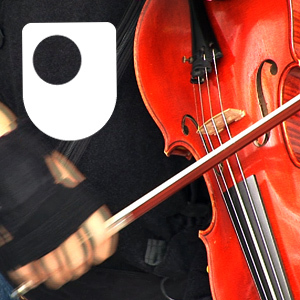 The Open University, the BBC and London's Southbank Centre are working together to promote modern classical music. You can watch The Sound and the Fury on the iPlayer, or you can visit the Southbank Centre throughout the year to attend The Rest Is Noise, a festival of weekend concerts and talks.